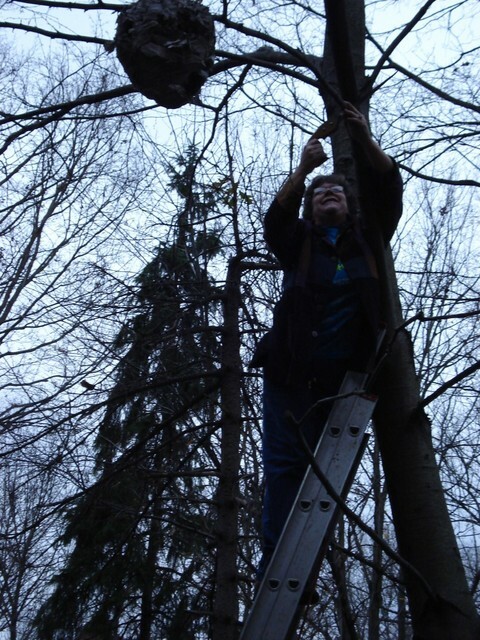 It was beginning to snow as Shelly climbed up to the top of the tall ladder and refusing my help managed to find a way to sever it together with the branch in a way that kept it from dropping to the ground. That left me free to run for the camera! The grey and brown paper strips and swirls of the nest were amazingly beautiful up close and through one of the holes in the side one can see the pockets of the hive. It's the largest one I've ever seen and astounding to contemplate that it is made from the hornets' saliva. Fortunately there were none still dwelling inside. 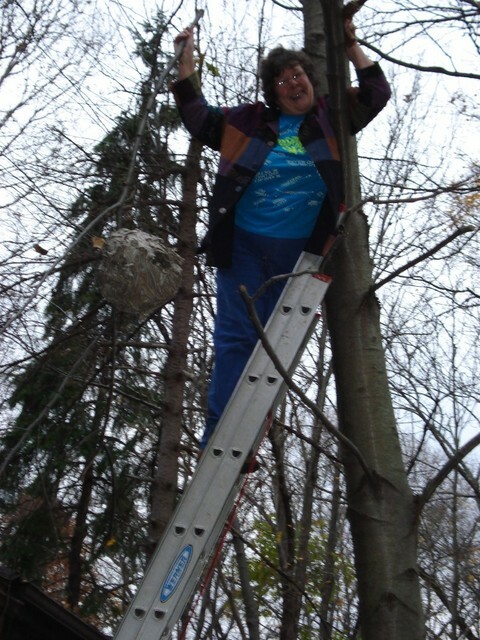 Once the first frost comes they are said to leave the nest and the following year they rebuild from scratch. If left to the elements the next gradually disintegrates. I hope to hang this one from the porch ceiling in a place where the rain doesn't come slanting in to harm it. It's a treasure.